I'm pretty sure we once had a thread on this one, but here are some ideas again. Seed storage - Good way to save seeds from the fs in your garden. Add a label (with a picture of the flower if you want). Last edited by Admin; 06-17-2014 at 02:06 PM. Thanks for the great list! I love the idea of making snow globes. I have only actually done about half of these. You can go online and find TONS more things to do with them. Since mine aren't little anymore, I don't run across them much anymore, but there are still some occasions when i wish they were still readily available cause you can do so much with them! Hey Brenda, thanks for this thread. I think I also have something to add. 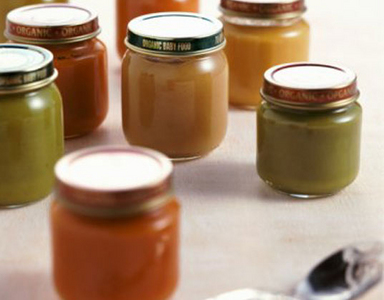 Clean the baby food jar along with the lids and thoroughly clean it. Dry it in the sun to remove the moisture and remove the labels on the jars either by scratching it with a knife or by using a label remover. Place a plank of wood over a working space and keep lid of one jar over the plank upside down. With the help of a driller, make a hole in the centre of the lid. Make sure that you wear safety glasses while doing this. Similarly, drill holes in the center of each of the lid and two holes in the last lid, one at the center, and the other one just over it in order to hang the tree using a monofilament. In order to smooth any sharp edges, trim the outside of the lids using a sharp metal file. After this, keep clumps of sequins and glitters, inside each jar and then close the lids. Now, place the jars in such fashion that they acquire the shape of a tree. For doing that, place the first jar with two holes and keep two jars horizontally below it in a triangular mode. Now keep three jars below it and again repeat the same process with four and five jars until the entire pattern gives the form of a tree. To make the trunks of the tree, place four jars side by side just below the five jars row in a vertical manner. Now apply adhesive to the jar surface that touch each other. Press it firmly and allow it to set overnight. Then insert the strings of light one by one through the holes of the tree. This can be done by placing the first two lights just above the plug. Insert two lights first in the bottom right of the trunk, then in the top right and the top left followed by one in the bottom left corner of the tree and continuing with one light in each jar till the right of the same row. Similarly, fill all the jars in all the columns with the lights on the left side too. Finally, you can secure the lids of the jars by using duct tapes. The excess wiring of the set of light can also be collected and secured using the same tape. The tree can be further decorated using ribbons and such other decorative items. However, if you intend to place this centerpiece against the window where the back will also be visible, all you need to do is place a piece of cardboard painted with metallic colors and matching with the shape of the tree to the back and tie it with a piece of red ribbon. Wow! Very creative. Love the hanging candle holder idea. Thanks!